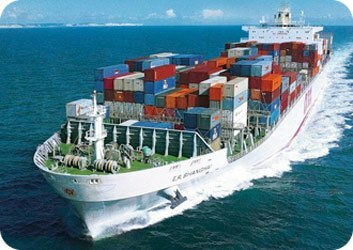 We organize transportation and door to door delivery of goods by sea from the United Kingdom to USA. Our experts select the most cost-effective and fast way to deliver your personal goods from anywhere in the UK to all cities of United States. For all our customers we offer "door to door” delivery, port to port as well as door to port including customs clearance. 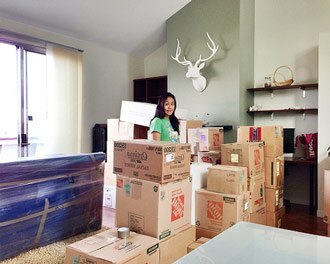 Our moving company has an extensive network of agents and regular partners in New York, Chicago, Minnesota, Washington, Los Angeles, Texas, Alabama and many more. Our experience staff will be happy to provide you with a full list of goods prohibited and restricted from shipping to USA. There are also certain procedures and the quarantine that some items need to go through. If you would like to drop us a quick email we shall email you back a full step by step guideline on what you can take with you and what you have to leave. As you probably know USA is a huge country. It is third in terms of population which counts 314 741 722 people, 34 per square kilometre just after China and India. It is also 4th in terms of the area - 9 373 967 km ² (after Russia, Canada and China. For that reason it is quite difficult to provide the accurate costs for shipping small amount of goods like a grandfather clock, antiques or porcelain. However we can give you a rough idea of shipping costs for a full 3 bedroom house including all paper work preparation, customs and quarantine clearance. You can assume that a move of goods making a total volume of about 1000 square cubic feet would cost about £3000. Please note that some firms may give you a very competitive quote for shipping personal effects to USA that doesn't include all the port and customs fees, taxes, extra costs for dropping off your goods in their container at your new home longer than for a couple of hours, etc. 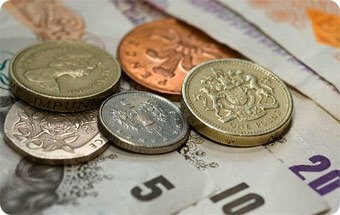 If you do not check what has been included on your quote you may end up with up to £1000 bigger bill to pay. That’s why it is always advisable to get your mover to provide you with a total, no hidden or additional cost estimate and contract for sending stuff to the US. Shipping kitchen equipment - find out what you should take with you and why. Transport and delivery of household goods and personal belongings by Sea from or to the United Kingdom has been the only means for movement of domestic and commercial items internationally until the introduction of the airplane and channel tunnel in the bordering Republic of Island and Northern Ireland. However, the introduction of the other means of transportation has not in any way abolished the delivery of goods by Sea from the UK to USA to other parts of the worlds. Sending personal effects by sea is one of the major way through which items and goods can be transported from the UK to other parts of the world. There are numerous ports and islands in the UK and this is one of the reasons why the freight of private stuff and household things thrives in the country. A greater percentage of goods that leave UK are shipped across the high ocean. The major ports in the country are Milford Haven located in the South-west Wales, Port of London, built on the River Thames and Grimsby & Immigration located on the east coast. Besides these major ports, there are other ports in the country. Most cities and towns such as Aberdeen, Liverpool, Glasgow, Edinburgh, Bristol, Hull, Holyhead, Larne, Plymouth, Port Talbot, Poole, Scapa Flow, Portishead, Stranrear, Teas, Sullom Voe and others have ports in them. So, no matter where you are located, you will find shipping companies close to you that offers international delivery of private possession across the high ocean or rivers via a port close to you. Besides these GRT ships, there are other 446 ships that sail to and from Britain which are registered in the other countries. Foreign-owned ships registered in the UK are 202 in number. The above figures are based on CIA estimate of 2005. Probably more ships might have been added to these numbers as shipping household property becomes more and more popular due to increased immigration. Besides the merchant ships, there are cruise ships and yachts that provide shipping goods to other destination across the world. Some of the cruise ships move goods from the UK to ports around the Caribbean and Mediterranean. There are also ferry services from the UK to neighbouring countries such as Belgium, Republic of Ireland, France, Denmark, Netherlands, Spain and others. How much to ship household goods? From the above, it is evidently clear that sending personal belongings overseas thrives very well in the UK. If you prefer transporting your items whether it is private or commercial goods from the UK to other parts of the world, you will have multiple options to choose from. You can also travel alone by sea using the cruise ship. Delivery of goods by sea from the UK to other countries has some advantages to give users. In the first place shipping things by sea is more affordable than any other means of transportation. You can send any type of items or good to USA regardless of the size from the UK to any part of the world. It is also safe to move household items across the sea. Though transport by sea is not totally accident free, the rate at which it occurs is very minimal when compared with other types of transportation. However, the major disadvantage of the sea ship is that it can be very slow. It may take weeks or even months before your item gets to you depending on the distance to be covered. The delivery time would depend on the moving from and and the moving to addresses. You can contact our office to find out how much and how long does the shipping of goods to the US takes. 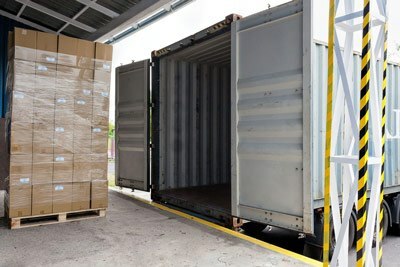 There are a number of international moving companies that offer removals of goods over the high sea. Most of these firms offer shared container shipping as well as full container services, packing and unpacking services, storage services and cleaning services. But some are more reliable than other. So, if you want to ship any item using sea transport look for a reliable company like us.